I just wanted to share my awesome experience with a product I used for letter filling. I've used paint and it's a pain. Someone gave me a little packet of Sugru and I decided to do both of my Glock's lettering in it. Check it out. The lettering took all of 3 minutes a pistol and is perfect and rated high temp. It has quite a few more benefits but I don't work for them so I'm not willing to do the research and paste it here.
. It has quite a few more benefits but I don't work for them so I'm not willing to do the research and paste it here. It has a long life while in the package. A year or so. After opening it, it's like play dough. When you think about it, it's perfect to wipe away from something like lettering. But it's also awesome for so many more things because when it dries it turns soft and grippy. There are lots of suggestions on the site but I just tried it out on the pistols and a laptop charging cable that my pups decided to chew up. The high and low temps of tolerance are amazing. You could use it on a pot for boiling water and could use it in the Arctic. Im thinking about doing the back end of a Geissele SD-E next.. 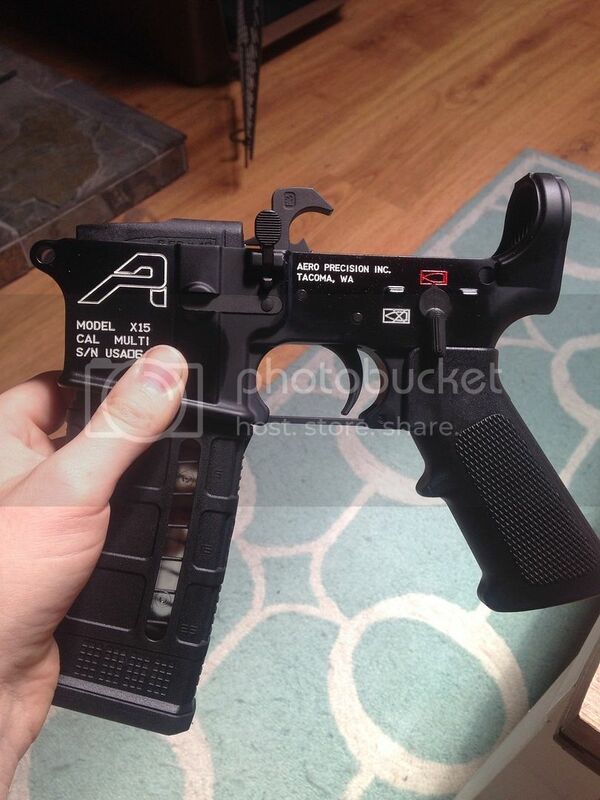 The AR it's installed on has a lot of red accents so why not try out the trigger? If you don't like it, it can be removed unlike cerakoting..
Just a suggestion for you all. I think it could have several uses for our ARs. I've heard crayon will melt at high temps. Sorry guys, I'm new to the posting thing but not the reading and definitely not the buying, modifying, and shooting. I just wanted to share how cool this stuff is. I have no real interest in spamming or the product selling. It just worked great for me. I'm having a super hard time uploading a pic. Do I have to link to it instead of an actual upload? +1. Has held up very well so far. Was planning on using paint on one lower if the crayon didn't hold up, but is has(for last few years). What's the deal with the weird Sugru link? Can we get actual pics of the outcome verses an "Amazon" type link? Ditto. Works great and lasts. Yeah mine held up really well also, its been on for over a year now with no issues. Pretty easy to remove also if you want, just some WD40 and elbow grease gets it right out. Scroll down to #3. I use www.imgur.com. NwG: "Cats come broken from the factory..
Kind if like mini-14's... You know they are going to go bang, you just don't know who exactly is going to get murdered."